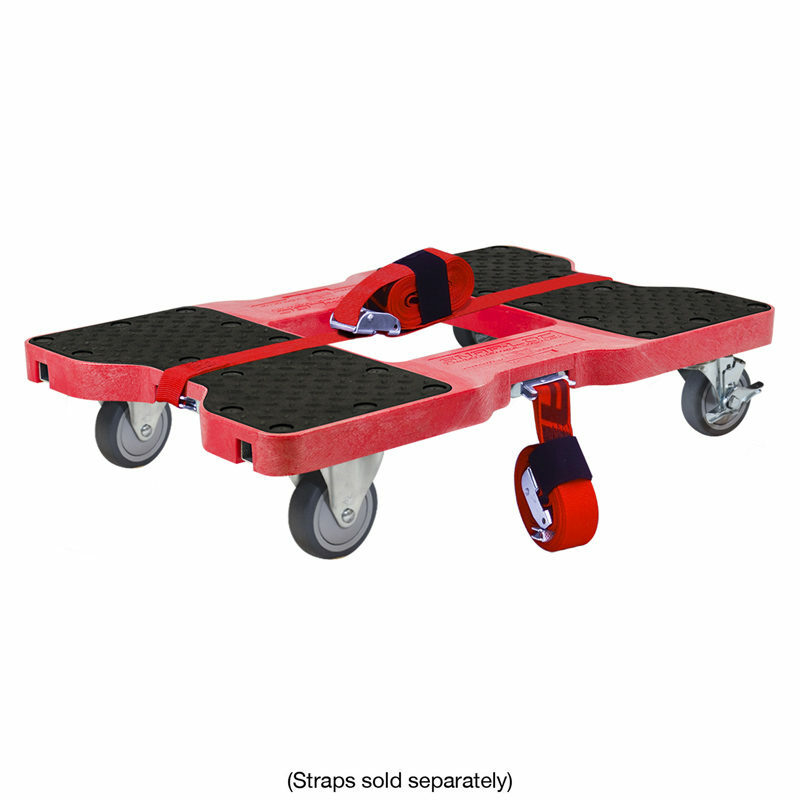 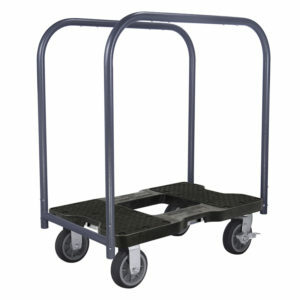 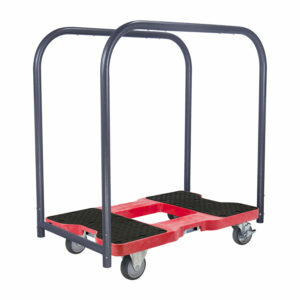 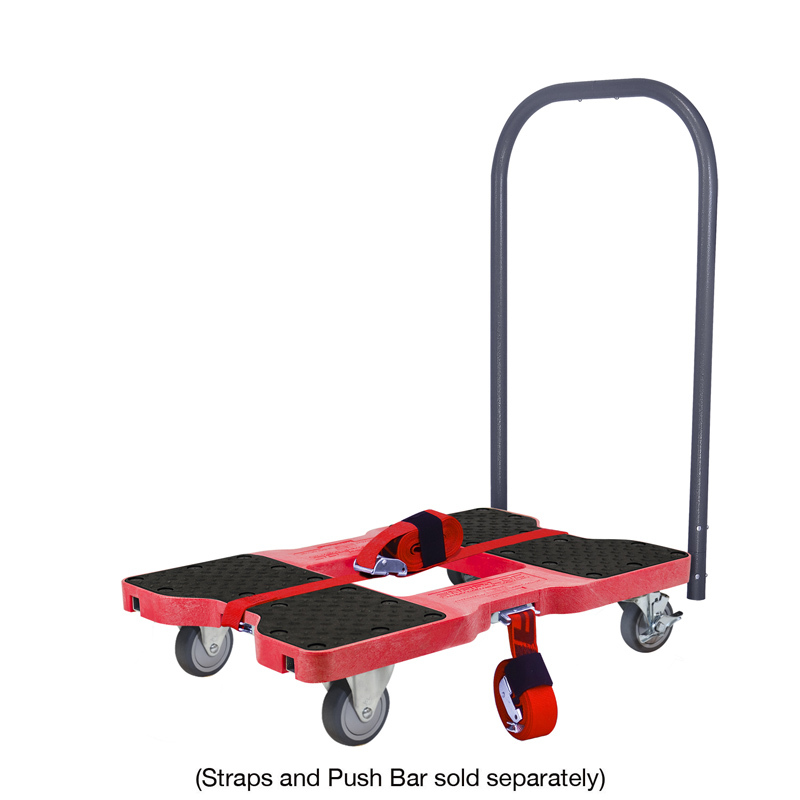 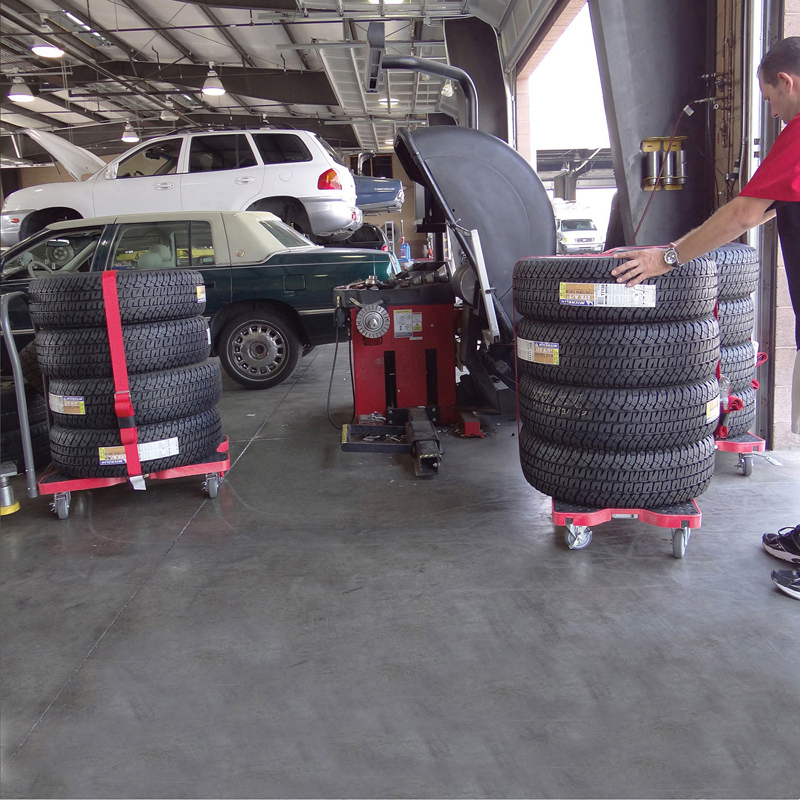 “Safely Moves More in Less Time” with easy rolling 1,200-pound capacity and optional E-Strap safety attachment! 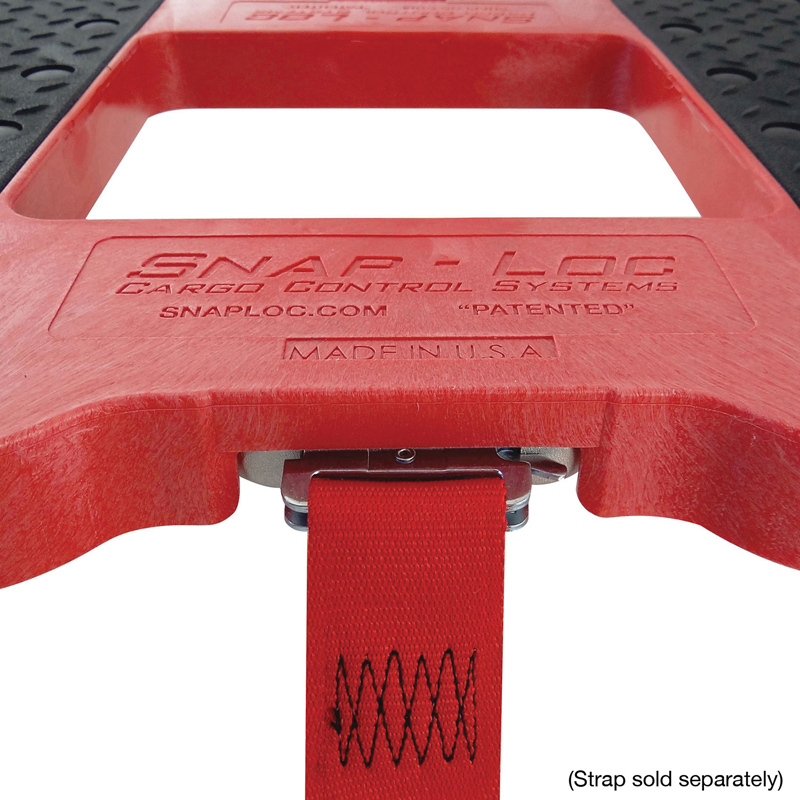 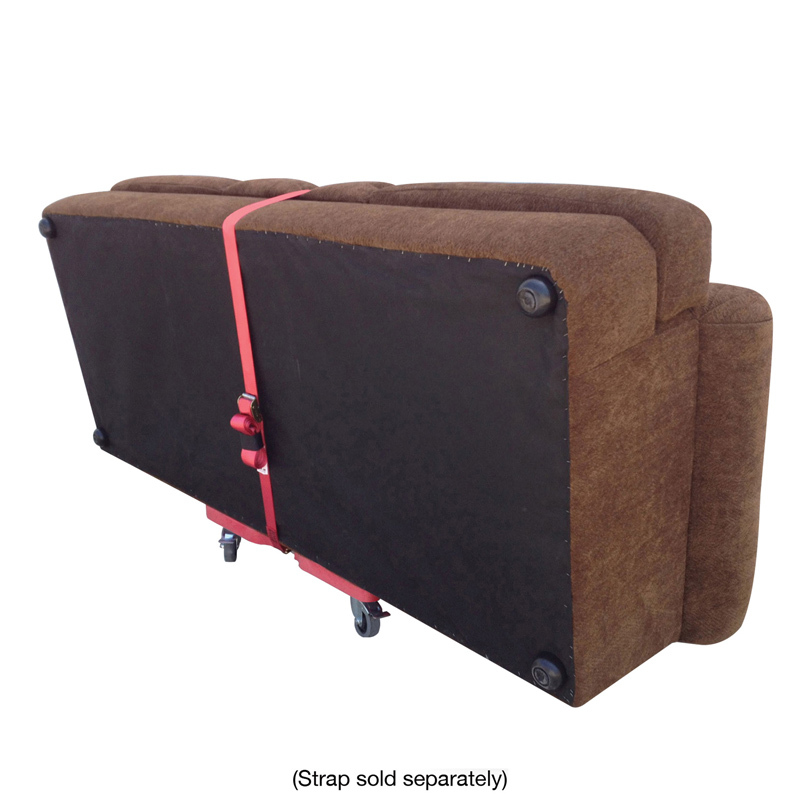 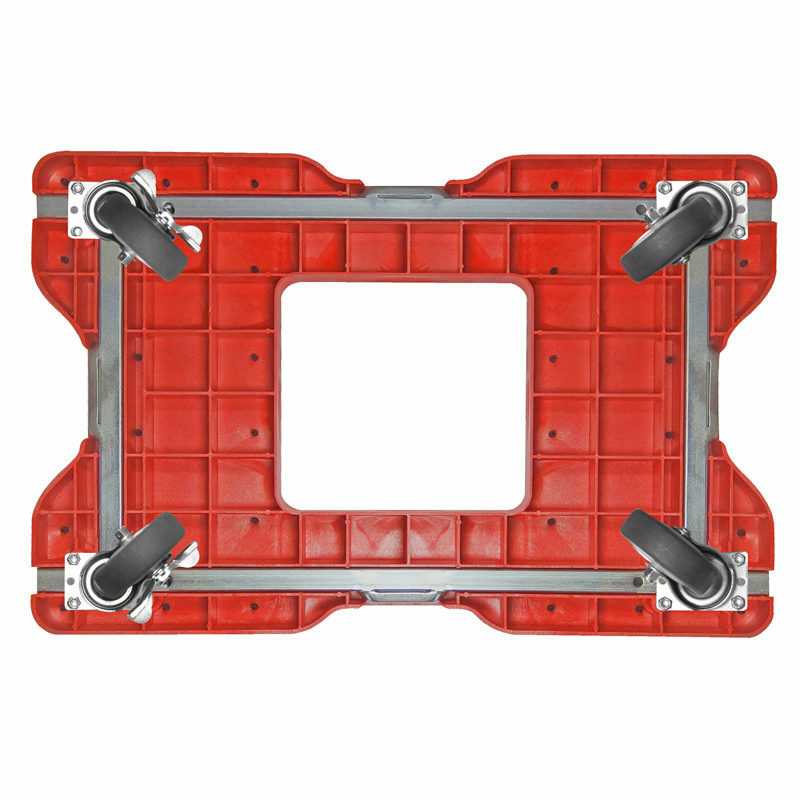 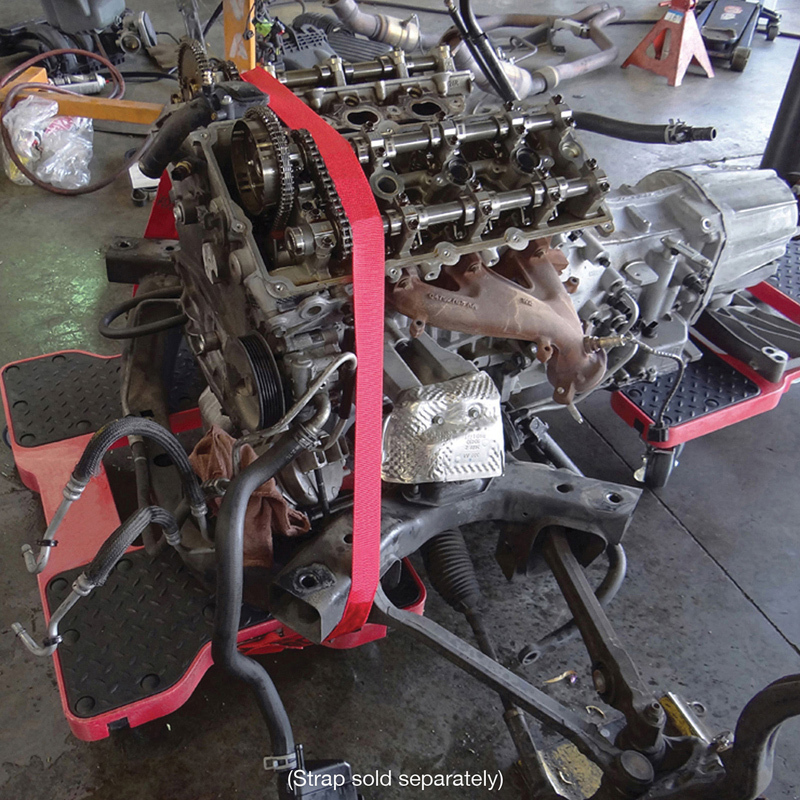 Optional E-Straps safely contains more items on Dolly and can be used as handles to easily control the load. 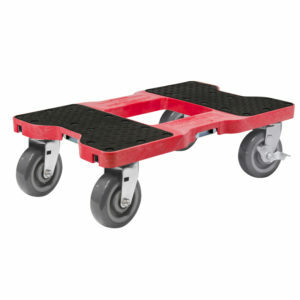 4 swivel casters are non-marking airless 4″ inch thermoplastic softer rubber wheels for rolling over softer interior flooring. 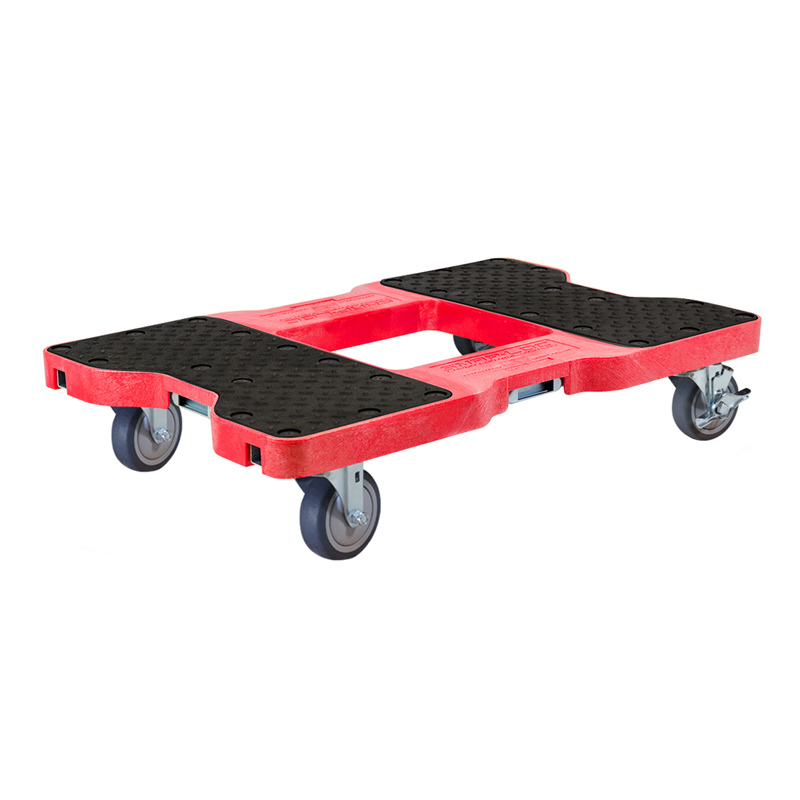 Industrial strength structural polypropylene flat deck and large grip pads secure cargo in place. 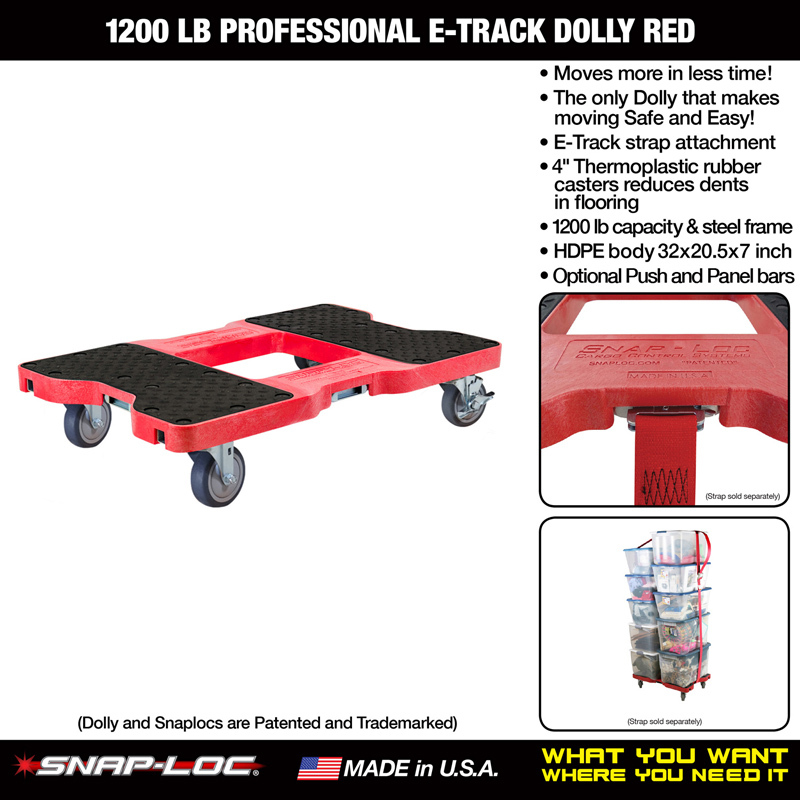 Perfect size to fit through doorways, transport in vehicles and stow away in a small space 32 inches long 20-1/2 inches wide and 7 inches tall. 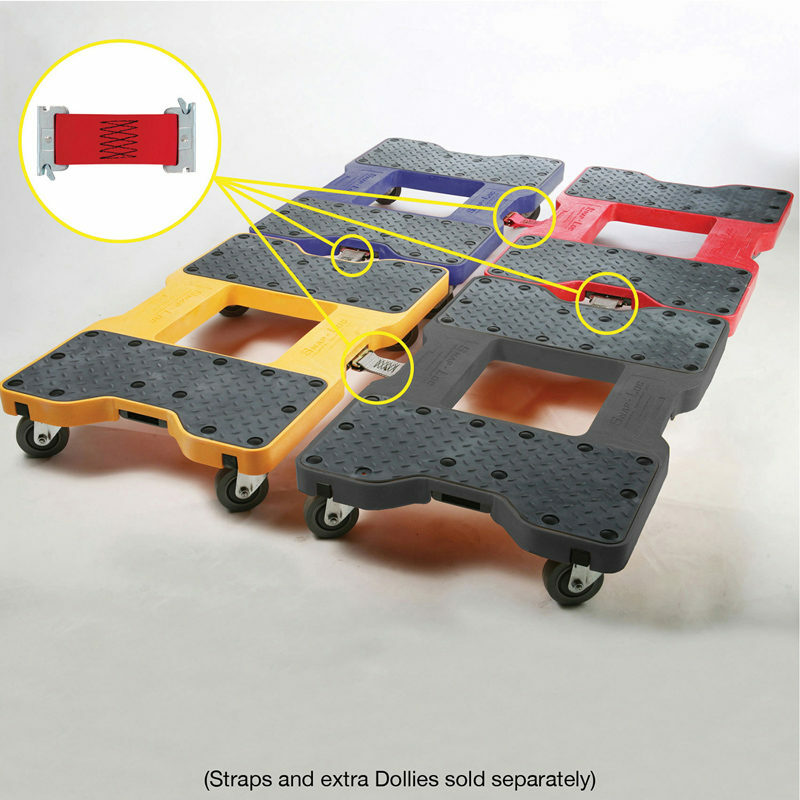 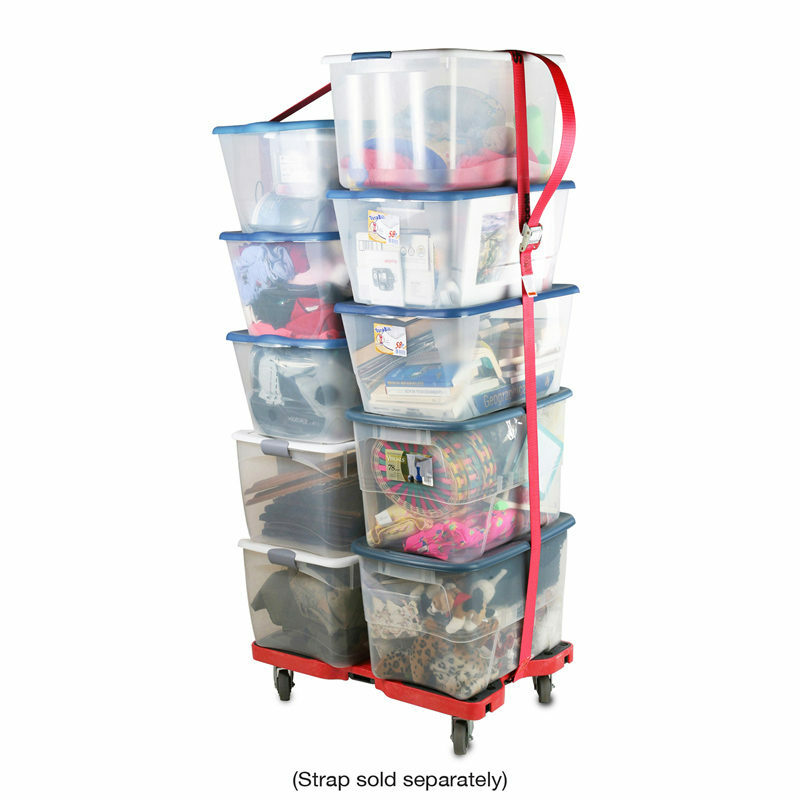 Multiple Dollies can interconnect endlessly to move awkward items with optional 6 inch and 12-inch Connector Straps. 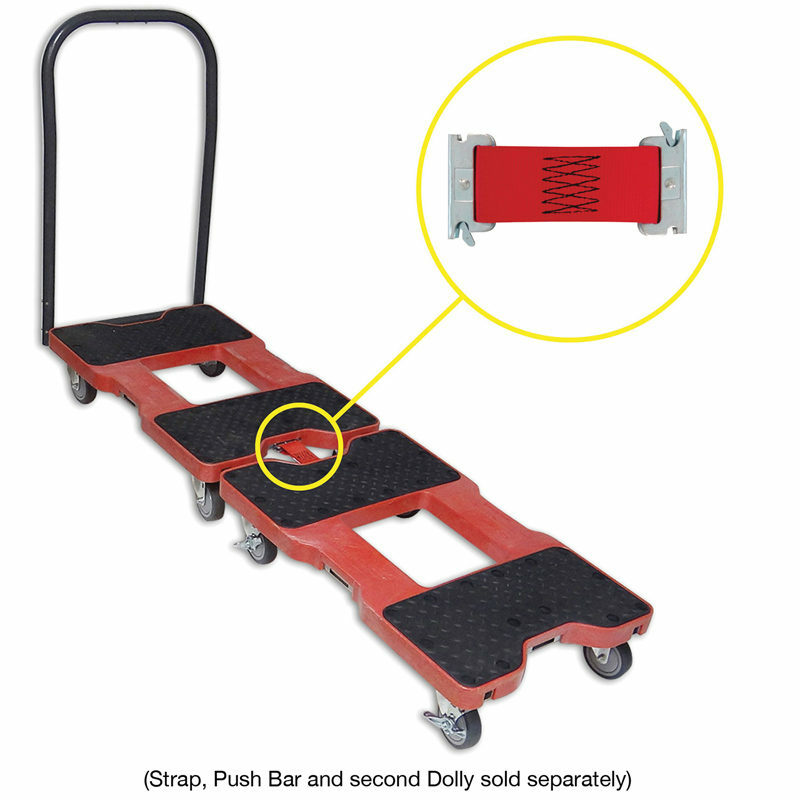 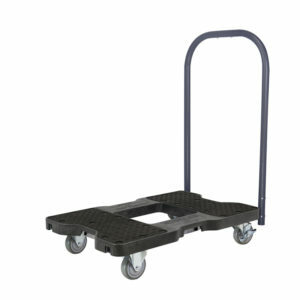 If you want 2 fixed rigid casters that don’t spin and allow Dolly to be steered, order our Push Cart Dolly or Panel Cart Dolly. 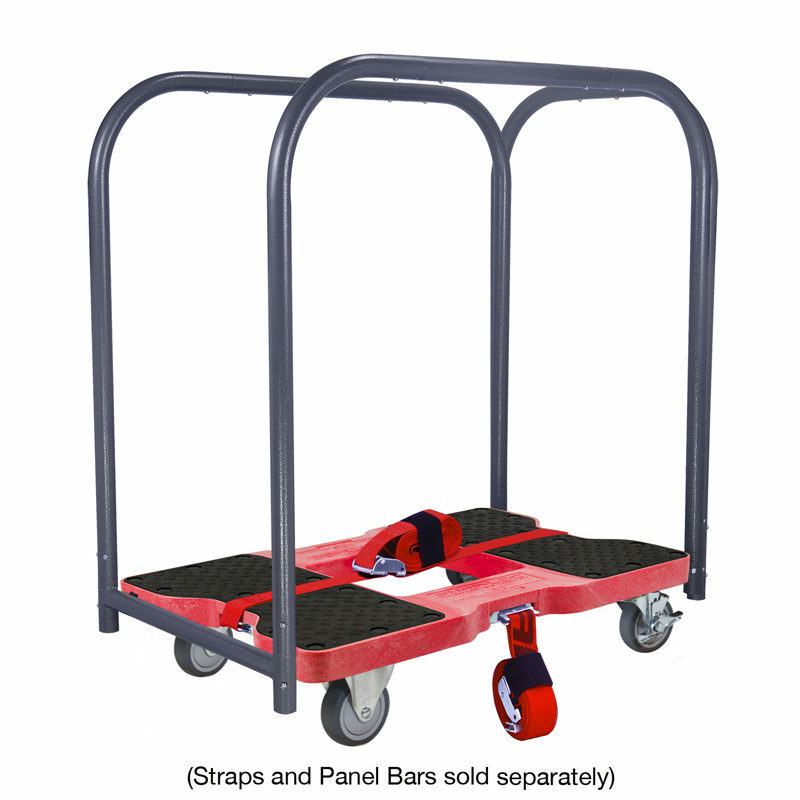 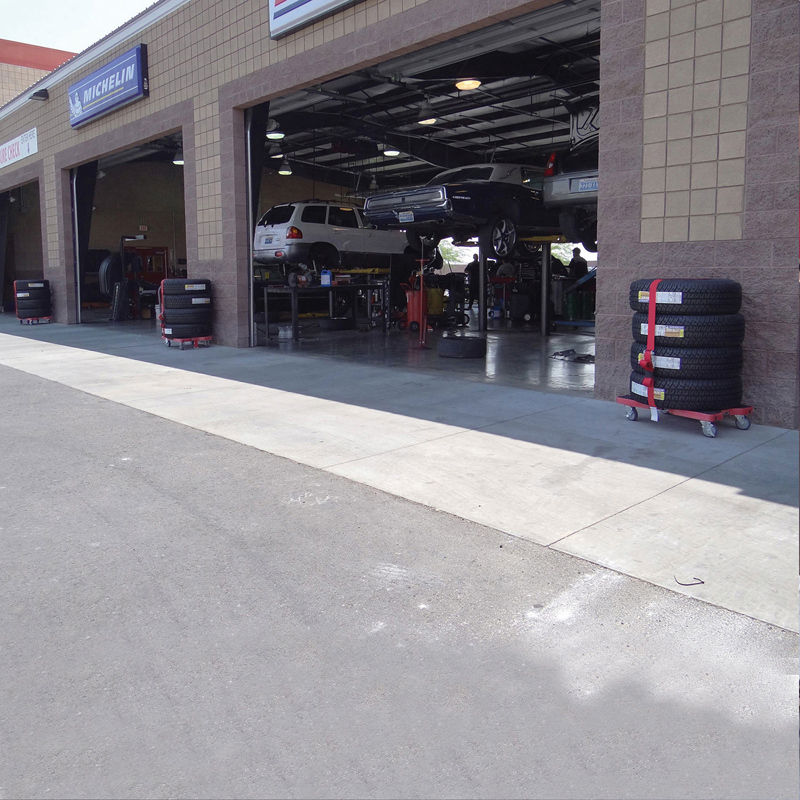 Transforms when you need it into a Push Cart or Panel Cart for containing lumber, pipe, drywall, tables and more with optional bar sets.